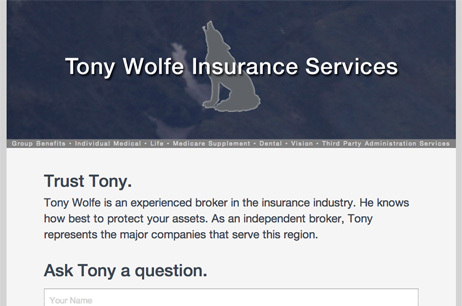 Tony Wolfe came to me asking for a very simple website. He wanted a one-page site that would allow potential and current clients to contact him easily. And he wanted it quickly. So the result is a fresh one-page design that incorporates a nice, easy-to-use web form. The results of the form are sent directly to Tony so that he doesn’t have to remember to go somewhere to check for messages coming in from his website. Quick, reliable communication with his clients was the result.